The Goose Lake CWA chapter has been active now for three years under the faithful leadership of Christine Briegel. The group gathers regularly to act and pray for their families, state and nation. 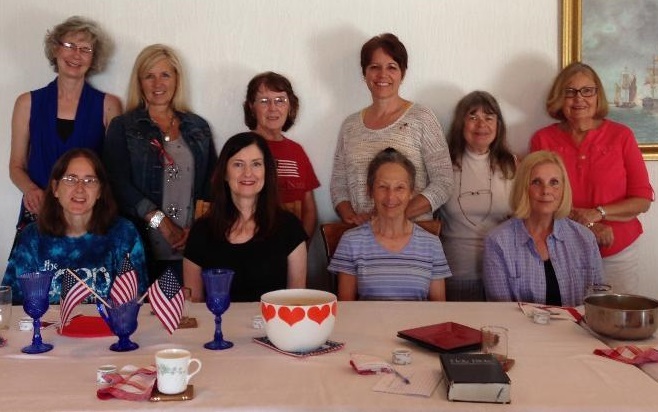 This month they had a lovely gathering to celebrate our countries independence as a nation and gave thanks for their daily dependence on God and His salvation. In addition to the chapter Christine leads in Goose Lake, which is in Clinton county, she also leads a chapter in Scott and Muscatine counties. Do you live in any of these areas? Would you like to get involved in one of these CWA chapters, or one in your area? Contact State Director Tamara Scott today!